The newest Pokemon movie is out and available now for viewing online on supported devices. The Pokemon the Movie: I Choose You! is something that everybody should watch, not only because of the cartoon’s 20th-anniversary movie but with an exciting revelation. In the Pokemon cartoon movies, only Meowth can naturally speak the language of a human. The trait of Meowth is impressive but when the Pokémon the Movie: I Choose You! came out, it shocked the whole world, there’s something weird that you should see. Do you want to hear Pikachu speaking? That’s something you should find out only by watching the entire movie, but I got something for you. Please watch the tweet video below. Watch Pokémon the Movie: I Choose You! online through Amazon. 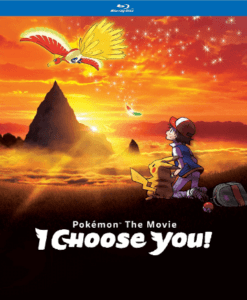 The pre-order for the Blu-ray version of Pokemon the Movie: I Choose You! is now available and the title will be released on February 13, 2018.